Finally, I want to acknowledge the victims of certain interpretations of Paul’s voice, especially those who have suffered the Shoah. Their suffering cannot be separated from the prejudices resulting from those interpretations any more than it can be wholly attributed to them. To them I dedicate the effort represented in this book. Such a strange way to end a series of acknowledgments for a book. The author usually thanks his/her publisher, editor, spouse, and whoever else contributed to or who were sometimes inconvenienced by the author’s writing of the book. Occasionally, religious people will thank God, their congregation, and so forth, in addition to the “usual suspects.” Having written a few books myself (though not in the religious studies space), I know the author’s side of composing acknowledgments. That said, I normally blow past the acknowledgment page quickly when I get a new book in my hands, but something told me to slow down a bit before getting to the “meat” of the content. What we have here is a suggestion that the traditional way Paul has been understood by Christian interpreters has, in some manner or fashion, contributed to the injury of the Jewish people, including the most glaring injury in recent history, the Holocaust. 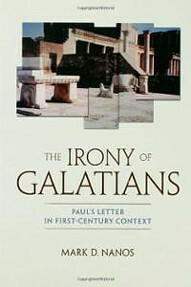 There have been two injustices committed by the “consensus view” of Paul which includes his letter to the Galatians: a gross misunderstanding of Paul himself and his missives to various First Century churches, and as a result of that misunderstanding, a terrible injustice to Jewish people across the last nearly two-thousand years of history. That’s a heavy burden to place upon collective Christianity, but it’s not a burden that is undeserved, nor is it one that cannot be lightened. What is needed is a fresh reading of Paul from a First Century Jewish context. 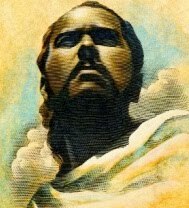 While Nanos states in the book’s Prologue that he attempts to make no direct comparison between the Paul of Galatians and how Nanos depicted Paul in his previous book The Mystery of Romans, I don’t doubt that I’ll be making the comparison anyway, considering my several recent reviews of that work. After all, we are talking about the same human being, and unless Paul received a “personality transplant” between writing one letter and the next, he should be transmitting the same basic understanding of the role of Jews and Gentiles in the Jewish religious stream once known as “the Way. This reads more like an indictment than, as Nanos puts it, a project that “represents a revised and expanded version of (his) Ph.D. dissertation…in 2000.” There’s a sense that Nanos has more invested in this project than simply a serious and scholarly re-investigation into the traditional interpretation of Paul relative to ancient and modern Christian and Jewish relationships and identities. No interpretation is independent of context, that realized or assumed for the original author and audience, and that of the interpreter him-or herself. I am a product of many factors, not the least the long shadow of the Holocaust, which claimed so many Jewish people, my people, as well as exposure to critical tools now available to the interpreter. I know a fellow who is quite an erudite scholar and it is his opinion that more often than not, a book’s prologue may contain enough of the contents of the book itself to tell the entire story, sort of how some movie trailers give away most or all of the story of the films they are advertising. This may also be true of Nanos’ “Irony,” but not having cracked even the first page of the first chapter yet (as I write this), I’ll have to wait and see. On the other hand, Nanos does reveal that he considers the “influencers” to also be Galatians and Jews who have a certain responsibility to initiate the Gentiles in the Galatian synagogues into their entry into Judaism. If these influencers were like those Jewish people we encounter in Acts 15:1-2, we may be seeing a heavy bias in the non-believing and believing Jewish communities in the days of Paul toward the proselyte ritual as the only means by which a Gentile may enter “the Way.” That makes Paul’s Galatian letter, according to Nanos, an “ironic rebuke” to the Gentile readers and an intra and inter-Jewish communal dispute between Paul and the Jewish influencers. As I read in Nanos’ “Romans” book, he continues to depict Paul as Torah-observant, which only makes sense, given that Paul wrote that a Gentile being circumcised and converting to Judaism is obligated to the full yoke of Torah (Galatians 5:3). Being Jewish then, by definition, would mean that Paul considered himself as obligated to said “full yoke” of Torah in the same manner as his fellow believing and unbelieving Jews. Paul is himself an example of status and observance, and his message in this letter does not abrogate the identity or observance of Torah for Jewish people (i.e. Israelites) in the least but is instead predicated upon their continued validity for himself and other Jewish members of this movement. The remainder of the prologue covered a summary of each of the three parts of the book and what the reader can expect to discover. What remains are the detailed arguments presented by the author, which I have yet to experience. For the “Romans” book, I reviewed the material almost chapter by chapter in some cases, and I have a tendency to write book reviews in parts, often before I’ve completed my reading of the entire work. I don’t know if I’ll do that here since such an analysis takes a fair amount of time. On the other hand, it’s difficult in just a few sentences, to impart complex ideas and descriptions accurately when presented in a “book-length” form. Also, as much as I report for the sake of my audience, I write these blogs to process my own experience as I encounter new thoughts and concepts, so the level of detail in which I engage is sometimes more for me, the writer and learner, than it is for you the reader. Of course, my benefit is also your benefit as long as you don’t mind having to consume the output of my internal dialogue. Since I’ve liberated myself from having to produce daily morning meditations, I can’t say when the next installment of my review on “Irony” will be written, but know, compulsive blogger that I am, that it will appear before too long. Galatians is one of my Biblical “pet peeves” along with the traditional Christian interpretation of Paul as either suffering from multiple personality disorder or as a liar and hypocrite. I’m searching for an interpretation of Paul’s letters that renders him sane, internally consistent, consistent relative to his personal history as an observant Jewish Pharisee, and as a living expression of generations of Torah-observant Jews who came before him, worshiping the God of his fathers, obeying the Torah, and honoring the Temple, all within the context of a zealous faith in the Jewish Messiah. No other Paul makes sense, and a Paul (as the Christian consensus view defines him) who is mentally ill, a duplicitous liar, or a two-faced hypocrite makes the apostle completely disingenuous and an unreliable author of the majority of the canonized New Testament. So much for the Christian faith if the consensus view is true. I can only take Paul seriously if I can find another way to hear his voice. I believe I have found that sane and reliable Pauline voice. Now I want to see how that voice speaks in Paul’s letter to the Galatians. Nanos seems to be very sensitive to to the anti-Jewish distortions of Christian theology and their devastating impact over time. In his prologue I hear him saying what the highly respected John K. Roth, Russell K. Pitzer Professor of Philosophy at Claremont McKenna College, has said about the impact: “Christianity was not a sufficient condition for the Holocaust, nevertheless, it was a necessary condition for that disaster.” Roth has written twenty-five Holocaust-related books. With this I agree and tried to write of it in my book… that there “should” be and “ought” to be a powerful sense of righteous indignation, of righteous anger, welling up in the collective soul of Christianity, but clearly there is not. Whenever I have brought this subject up to leaders within Christianity, especially Evangelical Christianity, to include high visibility para-church ministry leaders, the expression is one of utter vacuousness akin to an acute attack of extreme cognitive dissonance. This is best represented, in my mind at least, by the metaphor of a sick, weak “spiritual EKG” that needs attention in terms of preserving life within the body as it lies asleep in the direct light of Heaven where it rests, refusing treatment. I keep saying, to the patient: “Stay with us; try to stay alert and take your medicine,” etc…. by taking action of repentance via remembrance, but there is no response. Perhaps I doth protest too much, but I think not. Consider that as I reviewed my son Joshua’s social studies textbook in the fall, I found not one word, not one syllable of reference to the Holocaust in the WWII units of his textbook. This is a Christian school using books from Bob Jones Press (BJU Press)… whom I’ve [finally] contacted with regard to the matter, but have not heard back from yet. Depending on the response they give me, I’m quite sure to take some kind of counter-responsive action, if necessary. We shall see. I hope I’ve stayed on-subject here and did not go off on my own personal tangent. I realize my passion for this subject often rises to center stage, unasked, in my responses. But I do so appreciate both you and Nano’s (and Sojourning’s and PL’s and chaya’s and others’) sensitivity to this crucial subject that seems to have taken up comfortable residence in the collective Christian conscience, inspiring little or no practical action taken. The residual “Jewish other,” I think, may very well reside within the space of this second Silence – as a residual remnant of perspective left unaddressed along with the greater subject of taking responsibility via active repentance through remembrance – and will continue to maintain a spiritual wall between Jews and Christians if not addressed. My take is that the holocaust was the product of an unholy marriage between historic Christian antisemitism and neo-Darwinian racial theories. You couldn’t have one without the other to produce this offspring. Does Nanos have Jewish background? It seems implied by, “my people,” although he could mean that in a non-geneological sense. You’re fine, Dan. No worries. After all, Nanos brought Shoah up in his acknowledgments and prologue pages so I think it’s an appropriate topic to address. For anyone else reading Dan’s comment, the book he mentions is called Remembrance and Repentance: The Call to Remember and Memorialize the Holocaust which I reviewed some months ago. I recommend you give my review a look and then buy the book and read it thoroughly. The world is already trying to sweep the Holocaust under the rug and the Jewish people and Israel along with it. Witness the current efforts by the U.S. and others to convince Israel that the so-called “two-state solution” isn’t really the Final Solution (and it seems God is not without a sense of irony as this discussion is happening on Martin Luther King Jr Day). You may be familiar with Ted Pearce’s, “March of Remembrance,” that is spreading to cities worldwide. My take is that sometimes judgement takes many years to come to fruition, and measure for measure, those who were silent at the cries of the oppressed are themselves crying out with no one to hear, as Muslims become the instruments. Perhaps this speaking out is a way of ameliorating the judgement? Better late than never. I know what you know, Chaya. Since he said “my people” referring to the Jewish people, I’d have to guess “yes,” but I can’t find any biographical material that describes his background or personal life. Maybe he’s just a private person and wants to let his professional work speak for itself. http://www.marknanos.com/resume.html He states that he is a Reform Jew. He also has a background in graphic design, as well as a Ph.D from University of St. Andrews, Scotland and a BA in Judaic Studies. What is interesting is that many of his books and articles go back to the 1990’s and we have no heard of him, so he is really off the radar. I guess I should have looked at his resume, Chaya. Thanks for that. Actually, I did hear about Nanos back in the 1990s when I made my first attempt at reading “The Mystery of Romans,” but I didn’t have enough theological context to make sense of his book, so set it aside. It makes a lot more sense to me fifteen or so years later. Perhaps you, Judah or one of you IT guys could help him with his web page, as the contact button doesn’t work and it is full of bad links and “eeek” typos. Sorry, “not,” heard of him. That is the problem with scholars. The great thinkers and the great communicators are not one and the same person, so the great communicators who are lacking so much win out. Better the thinkers and the communicators work together. Materials need to be produced that anyone without any background can make sense of them. For example, I would recommend Dr. David Friedman’s, “They Loved the Torah,” for its excellent info, but it is poorly organized and difficult to understand. Most people don’t enjoy reading someone’s Ph.D thesis unless it is their area of academic specialty. Thank you for your consideration and patience, James. Not to mention your ever-so-important addition to the current situation linking Holocaust Denial with the liquidation, one way or the other, of Israel as a nation. As so many, in their ignorance, posit that the nation of Israel is solely the result of world sympathy in reaction to the horror of the Holocaust, Holocaust deniers, especially in the Arab world, pursue the strategy that if the Holocaust can be delegitimized the reason for the Jewish state can be delegitimized. The two-state solution is, indeed, in the minds of the PA/PLO and Hamas contingents, an integral part of the final solution regarding the problem of Israel’s place among the nations in their ancient homeland. If anyone doubt’s this, look up the founding charters of Hamas and Fatah, Abu Mazen’s party and formerly that of Yassar Arafat. The antisemitic link between the Hitler/the National Socialists and Arafat’s uncle, the Grand Mufti of Jerusalem, during WWII, is alive and well, it seems. And yes, the irony of this discussion being engaged on Dr. King’s day of remembrance has not escaped me. You are so right. Would the spiritually-awake community of worldwide Christianity raise their voice in defense of the Jewish state in this regard – publicly announcing and intentionally engaging the Holocaust denial movement with its own pro-education model of remembrance of the memory of the Holocaust in support of the Jewish people and the Jewish state – the healing power of such a demonstration of love and caring by the current generation of Christians would be, I think, immeasurable. We have the weapons of resistance available to us: the means and methods of teaching and remembering the Holocaust. Chaya is right, Christian groups like Ted Pearce’s March for Remembrance and Christians for Israel in The Netherlands have laid the foundation for action. Christians For Israel, as an example of just one healing intiative as a means of repenting for Christian silence during the Holocaust, actually raises funds and erects monuments in memory of the victims at mass grave sites throughout Europe that have none. Can you imagine what such a gesture must mean to the survivors? To the Jewish population still in Europe? What will it take, however, to inspire the greater Christian community of the validity of such powerful spiritual offensives in direct resistance to the direct assault on the memory of the Shoah? @chaya: I own and have read Friedman’s “They Loved the Torah,” and have shared it with Christian friends. It is, as you say, a difficult read, but makes such a wonderful point concerning the love of Torah on the part of Yeshua, his family, his disciples and all of first century Israel at the time of the Second Temple. I am grateful for this discussion. From our lips (or fingertips or letter keys) to God’s ears. And may the memory of Dr. King become an even more powerful blessing now and in the future than it already has been in the past. That is Abraham Joshua Heschel to the left of Dr. King, and they were close friends and compatriots. I don’t know who the man carrying the torah is. I don’t know how amenable Dr. Friedman is, but I have suggested that someone (and I mentioned this to Steven Berkowitz) produce an edited version. It is a nice, slim book. I’ve done editing, but I think you would need someone with the educational background. Israel doesn’t need the support of Christians to survive. I would turn it around, as Christians need to bless Israel to not be swept away in the curse upon those who despise and treat as insignificant God’s covenant nation. Yes, I recognize his picture, Chaya. Don’t know the other gentleman carrying the Torah scroll, either. I think I lost you as far as the “nice slim book” you mention. Are you still talking about They Loved The Torah? I don’t know how amenable Dr. Friedman is, but I have suggested that someone (and I mentioned this to Steven Berkowitz) produce an edited version. Forgive me for belaboring the issue, but he book has been around for over a decade. Why does it need to be edited? In many ways the book would be very useful; it is short and provides a lot of good information. If it were better organized and easier to read I could see this little book passed around on a large-scale basis. 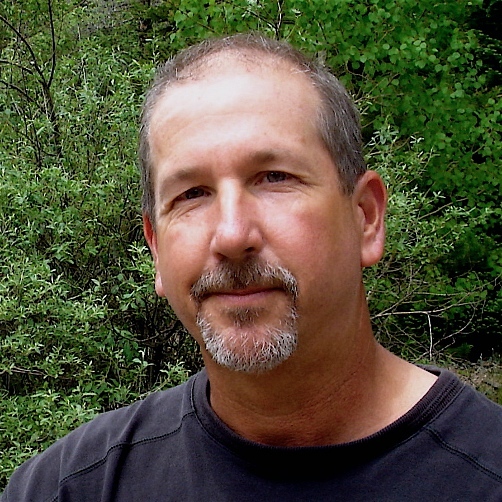 Authors often re-release their books after updating. As it stands, I recommend it cautiously only to people who would enjoy reading a Ph.D thesis. I have no idea what Dr. Friedman is up to now. I believe Chaya criticized the book as poorly organized and difficult to understand — which is a not uncommon failing of books prepared for a PhD thesis, since the purpose of a volume that supports a thesis is to demonstrate that its author has “done his homework”, so to speak, rather than to present a forceful and convincing presentation of some position or premise. Its organization and readability are thus aimed at a different readership. However, editing the material for a wider audience and another purpose generally requires some financial justification and possibly an opportunity to provide additional, or more current, material, because, regrettably, publishing entails costs. OK, OK, got it. Thanks. @Chaya — While Dr.Friedman lives in a northern suburb of Jerusalem and I in a southwestern one, I see him much more rarely than I would like and I can’t tell you what he is up to just now. However, in recent years he has been teaching seminars in Europe and the UK, and possibly also in the far east. I believe he is presently in Taiwan. While there is no end to the books that could be written, I suggest that the planning for each one should address a current need. At present, I can see several particular needs relating to MJ and related communities, each of which might represent a distinct book if people would read them and form discussion groups and classes around them. And there are some new scholars who might well incorporate and augment these earlier researches into new presentations to address these educational needs. I am at present uncertain what may be the most effective packaging and presentation for such information to reach where it is most needed. I’ve found the vast majority of Christians today, especially those younger than us boomers, lack the attention span and intellectual curiosity to read. And there is so much competition. So, if you want to get a message across, it is going to need to be in a short, well designed video series or a short, concise book that is easy to read and understand, as well as entertaining enough to draw the reader in. I am thinking of something provocative like, “Did Jesus Kill Judaism and Paul Nail the Coffin Shut? (And the Church Fathers shoveled dirt on the grave.) What do you think Paul was talking about when he warned his followers for three years about the wolves that would rise up from among them after his death? If someone is interested in doing a film, I can help with dialogue, but I am not very good with visuals. Think of your communication like a delightful appetizer that makes someone want to eat more, rather than shoving broccoli and cauliflower in someone’s face and telling them it is good for you. Interesting that a Christian textbook publisher left out the holocaust whereas this is included in secular studies, in the US at least. Was this an oversight, or an attempt to shut out questions about the role of Christians? After all, these Christian schools teach that Christians are righteous and the outside world is so evil. So they have to censor any evidence to the contrary. @ James Nanos is Jewish. @ PL. I really like Nanos and the New Perspective however Nanos is not for the layman. Yes, I know now. Thanks, Marc. I’m also drawn to the New Perspective on Paul stance since it presents a picture of the gospels and epistles that don’t appear to “jump the tracks” from the scriptures in the Tanakh. I am a former “Christian” and now a “Messianic Believer”. Previously under Christian doctrine I had been taught that Yeshua did away with the laws and all Paul’s writings proved it. That is until I really started to study the scriptures and question things to which most pastors had no good answer to. I have since learned that when Paul speaks of the “LAW” he is not speaking always of Torah, but referring to 7 different “laws”. With this new understanding I find that Paul was not schizophrenic. The only way to know “which” law he is referring to is to read the WHOLE chapter or possibly the WHOLE book in context, Simply reading a single verse will lead anyone to think Paul is either as you said ” suffering from multiple personality disorder or a liar and hypocrite”. Greetings, Barry. Thanks for commenting. Yes, Paul’s writing is exquisitely nuanced and it takes a careful eye to read him in context. Indeed. Perhaps this is why Peter warned us of Pauls writings. And think of our Lord’s patience as deliverance, just as our dear brother Sha’ul also wrote you, following the wisdom God gave him. 16 Indeed, he speaks about these things in all his letters. They contain some things that are hard to understand, things which the uninstructed and unstable distort, to their own destruction, as they do the other Scriptures.